Meet our staff and learn what they love about the Mizel Museum and the Mizel Institute! As Jews, we are taught “to be a light unto the nations” (Isaiah 49:6 ). For me, this has always meant a personal responsibility to promoting social justice for all people. To this end, the Mizel Museum promotes the concept of Tikkun Olam, or “repairing the world” through its exhibits and programs which confront contemporary issues of racism, hatred and injustice while incorporating the history and struggles of the Jewish people. The goal of the museum and its programs is to unite people of all backgrounds and empower individuals to make a difference. Since its inception more than 30 years ago, the Mizel Institute has been dedicated to addressing the most pressing issues facing society today. Through our unique educational and cultural programming, we work to create dialogue and influence social change in an effort to improve our world. The uplifting and harmonious songs performed in At the Table with Dr. King ignite my passion for social justice each time I experience them. The program is the next best thing to having been able to march with Dr. King, who was a hero because of his vision for human and civil rights for all people. The Holocaust is a profound and difficult subject to cover but is the most gratifying part of my job. I get to see genuine emotional connections made between survivors and students that may lead to increased adherence to the Golden Rule: Do unto others as you would have them do unto you. I really appreciate how our Bridges of Cultural Understanding traveling exhibit enables us to bring elements of the museum to the students in their schools. The exhibit not only teaches students about respecting and appreciating different cultures, but it also allows them to interact with a museum exhibit and museum objects in a meaningful and tactile way. 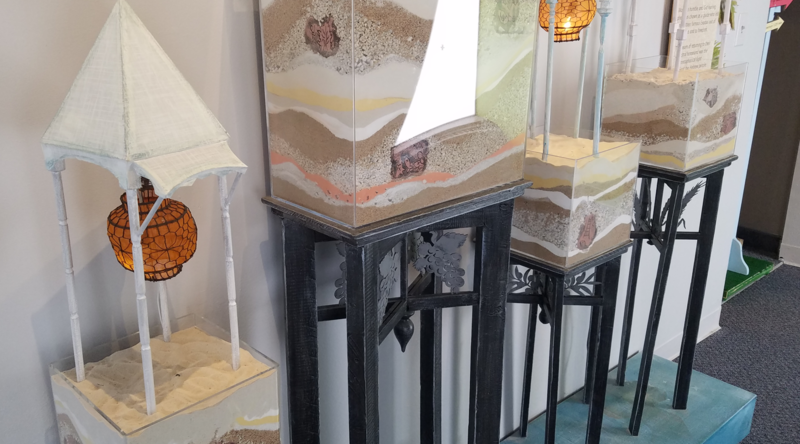 I love how the Mizel Museum’s core exhibit, 4,000 Year Road Trip: Gathering Sparks, illuminates Jewish culture, making it accessible to people of all ages and backgrounds. The exhibit also is a launching point for conversations about social justice and cultural identity, as well as many other relevant issues. For me, the Babi Yar Remembrance Ceremony is an incredibly important event that pulls you gently into the true significance of commemorating the events of the Holocaust. Between the mesmerizing music, the moving keynote, and the ambiance of the somber yet beautiful park, this ceremony truly pays homage to the victims and survivors of the Holocaust. I love that the Mizel Institute honors an influential member of the community every year; it gives us the opportunity to continue to educate others on our mission and accomplishments. We are also able to recognize and thank our supporters, and demonstrate how their contributions have positively impacted our organization. The Mizel Museum utilizes many creative programs to reach and educate our community in a very positive way. I love how the enthusiasm and investment in the company’s mission can be seen in every staff member. Working here is truly a privilege. I love the museum’s Movies That Matter and Miryam Brand Film Series in that these films inspire audiences to be a catalyst for positive change in their communities. The films not only address critical social justice issues and the impact of the Holocaust, but also the importance of standing up for one’s beliefs and not remaining silent when others are persecuted for theirs.